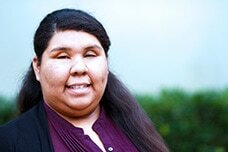 Stephanie Soto-Lara is a doctoral student specializing in Learning, Teaching, Cognition, and Development (LTCD) at the University of California, Irvine. Her research interests include the educational trajectories of underrepresented youth, adolescent development, parental engagement, and engagement in after-school activities. Her goal is to conduct research that contributes to strength-based perspectives of underrepresented youth and serves to empower communities similar to the one she came from. Stephanie received her B.A in psychology with a minor in education from the University of California, Los Angeles. In high school and during her undergraduate years, she spent her spare time volunteering at an LA’s Best After School Program and working with low-income elementary students and their families. In addition, she was an undergraduate research assistant in the UCLA Middle/High School Diversity Project and a Ronald E. McNair Scholar. In her free time, Stephanie enjoys playing musical instruments, mentoring youth, and spending time with family and friends.